Fighting for dominance over a harem of cows. These two large bulls take on each other late one evening in the shadow of the mountains in RMNP. Two large bull elk fight, probably for control of a herd of cows. 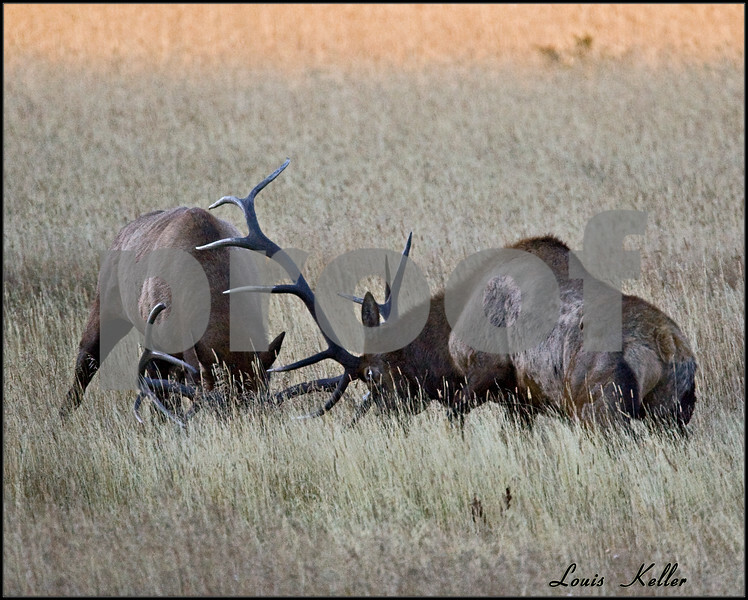 This is a common rutting behavior in the fall.